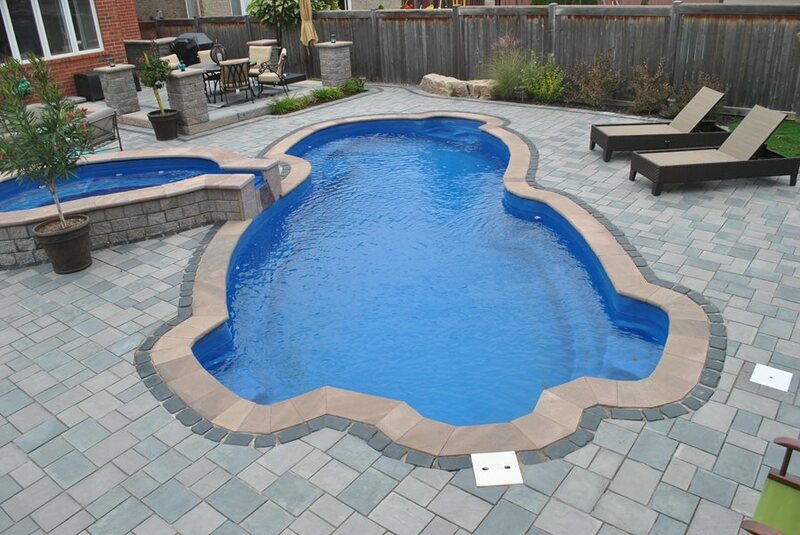 Fiberglass pools are precast shells that are set into the ground and finished off with decking. New materials and technologies are behind a thriving market for hard shell fiberglass pools. 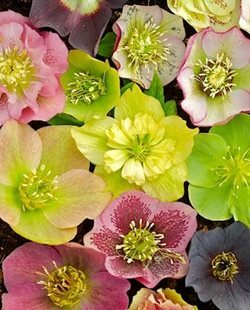 The industry has also grown up during the last two decades as it expanded design options and improved strength and longevity of this product. In fact, today's fiberglass pools are 17 times stronger than a gunite pool, and less prone to cracking under less than ideal soils. 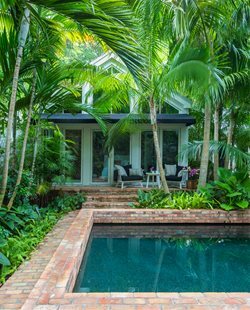 Soil conditions are behind the popularity of fiberglass pools in the Atlantic Coast states as well as throughout the South. 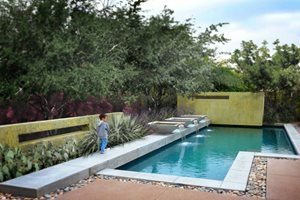 In many cases a fiberglass pool becomes a welcome problem solver for poorly drained sites. 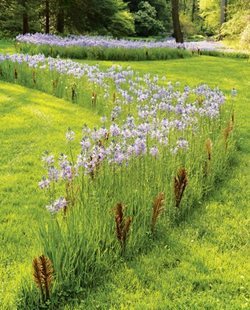 Per the quote above, regions with very dense clay soils can be problematic for gunite pools, causing cracking due to the extreme rates of expansion and contraction. This applies to very cold climates as well, where the changes due to freeze-thaw create similar challenges. Very sandy soils are at a risk of liquefaction, particularly where there is a high water table which eliminates the option of a vinyl lined pool. 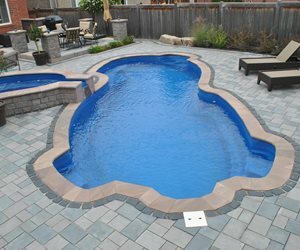 Rapid installation and low maintenance are the two most common reasons people choose fiberglass pools. The average installation time for a gunite pool is 45-60 days, a vinyl lined pool 35 days and a fiberglass pool just 10 days. Note, these times may vary in problem sites. Fiberglass is far more resistant to algae and staining so the need to treat water is minimized. Installation cost is about the same as an average gunite, but again, the construction time for fiberglass is lessened. Is Fiberglass Right For You? The chief reason people don't choose fiberglass is that it's not customizable. These pools are precast shells that must be moved along highways, which limits size and depth. The maximum width is just 18 feet as shown by the list of major manufacturers and their largest pool models to the right. 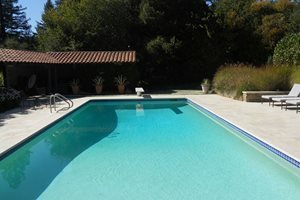 Fiberglass Pools cost more to install because a fiberglass shell is more expensive than a vinyl liner. Shipping a large pool requires large trucks and a wide load surcharge, and with gas prices rising, this can really add up. A rough estimate for a fiberglass pool shell and its shipping charges can range from $12,000 to $25,000 depending on the size of the pool. 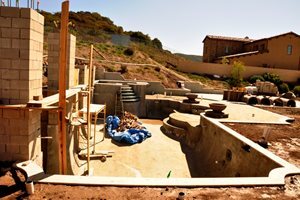 Contractor installation of the pool without deck is $20,000 to $40,000. These numbers will rise significantly when you add a heater, lights, water features, pool deck and other accessories. For a more realistic evaluation of cost, note the chart below which details how much you spend after installation for various kinds of pools to keep them water tight, functional and beautiful. 10 Year cost of ownership.